In preparation for submission to the state Department of Education, the Lenape Regional School District Board of Education shared its preliminary budget at last week’s board meeting. Mt. Laurel Township residents will likely see a small increase in their regional school tax bill for the 2016–17 year. The tax levy will potentially increase by .15 cents, resulting in an increase in regional school taxes of $4.03 on a home assessed at the township average of $237,600. The total budget is $156.6 million, an increase of $2.6 million from last year. Most of the budget is funded with taxpayer money, with $116.1 million expected to come from taxpayers in the district’s eight municipalities. Details on the tentative budget were not discussed at the meeting. District officials will hold their next Board of Education meeting on Wednesday, April 27 at the administration building in Shamong at 7:30 p.m. This meeting will play host to a public hearing in which a more in-depth discussion of the budget and tax impact will take place. • Members of the board honored LRHSD state champions from the 2015–16 winter sports season at the meeting. • Superintendent Carol Birnbohm congratulated members of the Shawnee, Lenape and Seneca high schools’ DECA chapters for winning their state and regional competitions. They are now qualified to compete in the international career development conference national competition in Tennessee. 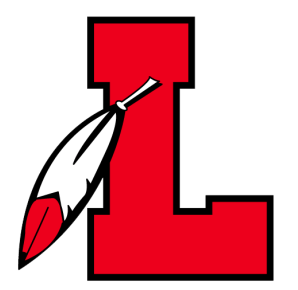 • Lenape’s math team won its fourth consecutive championship in the Burlington County Math League. The team is ranked 10th in New Jersey and №1 in South Jersey. • The Seneca girls and boys basketball teams hosted free basketball clinics for youth basketball players from Chatsworth, Tabernacle, Shamong and Southampton. • Students from the Cherokee Jazz Band provided free mini clinics for several days after school for the Marlton Middle School and DeMasi Middle School band students. • Lenape students from their foundation of leadership class and their student leadership academy club hosted students from Harrington Middle School where the students ran leadership workshops to help their counterparts from the middle schools enhance their abilities to lead once they come to Lenape. • In February, Spanish teachers from all four high schools invited the world language teachers from the eight LRHSD sending middle schools to a workshop that focused on activities that provide opportunities for students to speak in the target language in the classroom and to discuss how to consistently measure Spanish I honors assessments between all of the middle school and high school programs. • At Cherokee High School, students were able to attend a seminar during Lunch & Learn at which guest author TJ O’Connor spoke about his career in intelligence and security and how it influenced the writing of his award-winning mystery novels. • Shawnee High School music teacher Nick Rotindo met with individual students during their Lunch & Learn period to help them practice their college audition pieces. • Seneca High School teacher Dane Reed helped the special education program further advance by developing students’ social skills during their Lunch & Learn period.